Rita is an experienced Lending Specialist drawing a wealth of professional experience in business development, marketing and sales.Born and bred in Brisbane, Rita now resides in Brisbane’s Eastern suburbs and is passionate about making a positive contribution to the local community. This passion for community development endeavours translates into a genuine desire to empower individuals and businesses to reach their financial and lending goals. Rita’s ability and dedication to the development of positive client relationships, means that each and every one of her customers receives ongoing support and contact, ensuring that they always have the best possible options for their financial success and lending requirements. For many years Rita has been involved in a number of community groups including Carina Rugby League, Balmoral Little Athletics and Eastern Suburbs Hockey. Rita continues her commitment to her community by being an active participant in many local events. A proud mother of two boys, Rita can often be found at the beach or appreciating fine wine, food and music with her husband. “Our experience with Kelly and Co Finance was superb! We could not be in better hands. We never thought they would make our dream come true so quickly. Rita Sauvage put things in very simple terms and never rushed us to make a decision. She was very transparent and unbiased with the home loan comparisons in order to help us to select the bank that suits our needs and lifestyle. She made us feel very comfortable to call her about our ‘home loan application’ even if it wasn’t directly related to the loan. Rita is our trusted advisor in the home loan aspect. Rita is always committed to the customer, she helped us to negotiate with real estate agents, property developers and solicitors of both parties. We have no words to describe how thankful we are. Looking forward to buying the next property with her. “Can’t thank Rita Sauvage enough for the hard work and effort she put in to help me. I wasn’t seeing results from previous mortgage brokers, but Rita made the entire process seamless and stress free for me. It’s one of the most stressful experiences we have to go through, so I’m glad I had someone as knowledgeable and open as Rita to help me. She kept me updated and informed the whole way, and secured me a really good deal where others couldn’t. “Whilst exploring options to consolidate some existing debt, and after some disappointing advise from my current lender, I went to see Rita. My expectation of achieving my goals was fairly low, given the experience with my current lender. However, after the initial meeting with Rita I was nicely surprised to learn that I could consolidate and refinance with an alternative lender and reduce my repayments all at the same time. “Buying our first home was not an easy process, we had so many questions and sometimes we found the information quite overwhelming. After meeting Rita things started to clarify and the process became easier and clearer. Rita visited us several times even to assist us with things that were not related to her service. She was always clear and provided with us different examples so we could easily understand the information and different figures involved. She listened closely to our needs and concerns and assisted us with a plan that worked very well for us. She worked with our timeframe and directed us in what we needed to complete in order to buy our first home. We are very thankful to have met her as she made the process very seamless, she assisted us with very small details and she had always an clear answer for our concerns. 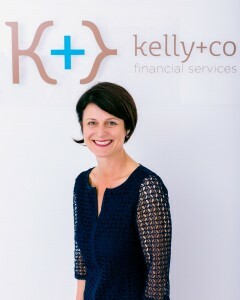 “We recently used Rita from Kelly & Co Finance to help us find the best home loan for purchasing our first home. Rita was referred to us by a couple of work colleagues who had used her and found her to be fantastic. Let me just say that she did not disappoint in the slightest. Rita consistently went above and beyond for us and was always there to help answer questions or quell our nerves. We will be using Rita again in the future and will be recommending her to all our friends and family. “We would just like to express our gratitude and say a huge thank you to Rita Sauvage for helping us buy our first home. “Kudos and thanks to Rita and team. We tried to get finance directly from a Big 4 Bank, but became stressed and frustrated when our loan application simply wasn’t moving fast enough. Rita stepped in and presented a series of options to us (much more competitive than we could find directly) that suited our specific needs. She then managed to get the loan approved and sorted out in just a matter of days. “We are so grateful that we were lucky enough to find Rita Sauvage just in time to ensure the purchase of our first home went smoothly. We are a young couple that knew absolutely nothing about getting a loan, working out our finances or even what an offset account was etc. Luckily however Rita is such a knowledgeable and patient mortgage broker and she took the time to explain the whole process to us. Rita’s service was amazing, she kept in regular contact throughout the process from start to finish. By helping us prepare to finish our savings she made us confident that we were ready to start looking at houses with an accurate idea of what our budget was. She also explained the ins and outs of fixed versuses variable rates plus everything in between. Having Rita as our mortgage broker was the best decision we have ever made! We had friends and family who had went directly through banks ‘to get the cheapest rates for their loan’ however that is most definitely not the case. Rita invested so much of her time and effort to find the perfect lender for us and not only did we get the cheapest rate we got such incredible support and advice throughout which kept us sane!! “I am so grateful that we were introduced to Rita! After seeing four other brokers and being left a little uninspired, it was an ABSOLUTE pleasure meeting with her to discuss our plans for buying our first home. I really looked forward to our regular catch-ups. Once we got into the nitty-gritty of organising the finance, Rita made the process so easy. I genuinely couldn’t understand why everyone else says that the most stressful part of buying a house is arranging the finance. This is definitely not the case when Rita is your mortgage broker!